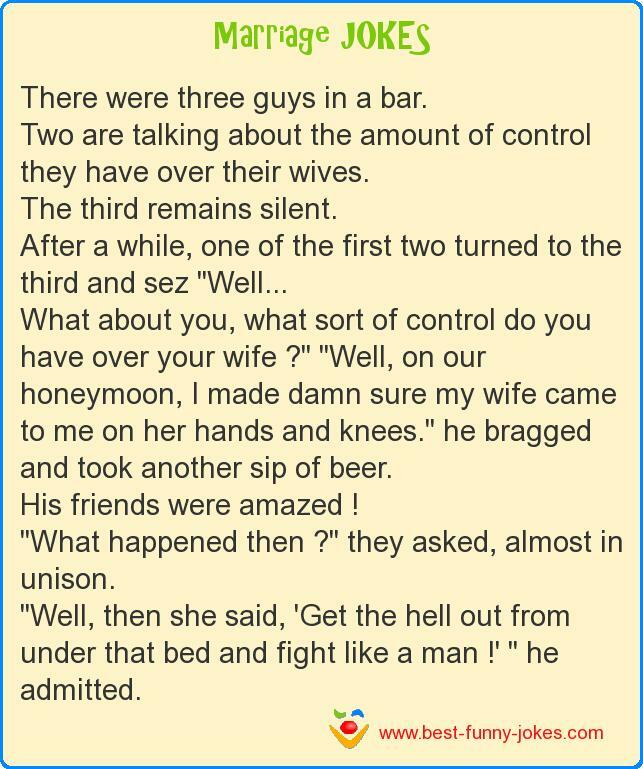 There were three guys in a bar. Two are talking about the amount of control they have over their wives. What about you, what sort of control do you have over your wife ?" "Well, on our honeymoon, I made damn sure my wife came to me on her hands and knees." he bragged and took another sip of beer. His friends were amazed ! "What happened then ?" they asked, almost in unison. "Well, then she said, 'Get the hell out from under that bed and fight like a man !' " he admitted.